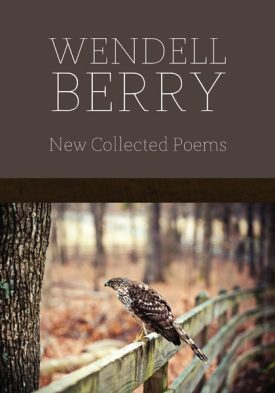 Wendell Berry is the author of over fifty works of poetry, fiction, and nonfiction, and has been awarded numerous literary prizes, including the T.S. Eliot Prize, a National Institute of Arts and Letters award for writing, the American Academy of Arts and Letters Jean Stein Award, and a Guggenheim Foundation Fellowship. While he began publishing work in the 1960s, Booklist has written that “Berry has become ever more prophetic,” clearly standing up to the test of time. WENDELL BERRY was born in Henry County, Kentucky, in 1934. He earned a bachelor’s degree from the University of Kentucky in 1956 and continued on to complete a master’s degree in 1957. In 1958, he received a Wallace Stegner Fellowship from Stanford University. The author of more than 40 works of fiction, nonfiction, and poetry, Wendell Berry has been the recipient of numerous awards and honors, including a Guggenheim Foundation Fellowship (1962). He lives and works with his wife, Tanya Berry, on their farm in Port Royal, Kentucky.